The spring of 2012, the last weeks of my dear late mother Ida Levi (may her soul be blessed). Despite her 93, Ida carefully followed what happened in the nation with great concerns. 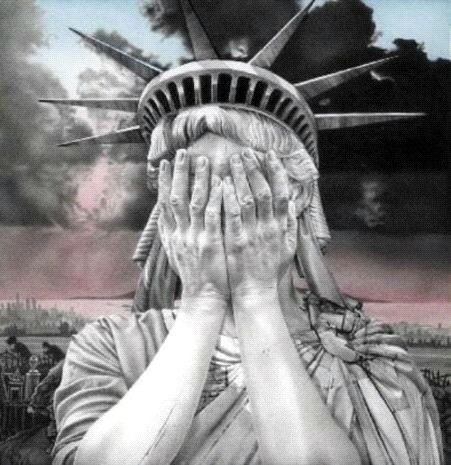 Her soul was boiling: How come, how was it possible that this exemplary nation – the beacon of the humanity – quietly swallowed the openly unconstitutional presidency of the impostor and fraud Obama and lives under him already 4 years? After every sabotaged court hearing filed by Dr. Taitz, Ida kept asking: Is Obama finally exposed at all last? Ida asked this also after the press-conferences of Sheriff Arpaio, which reported in February and March of 2012 about the coarse forgery of the "true copy" of the Certificate of Birth produced by the resident of the White House in 2011. She asked this after the court proceedings by Dr. Taitz, where several experts testified about forgeries of also other personal docs and stolen Social Security number of Obama. However Mom already did not live to see the Florida Convention of the so called "Republican" "party", where the organizers … banned Sheriff Arpaio and Dr. Taitz from reporting to the Convention about all those "goods" on … the rival! On the rival, which the Republicans, by their oath and duty of the opposition, presumably ought to wish to expose for his law breaking, and ought to wish to defeat indeed!!! This farce Ida had already missed, and God spared her from seeing the smooth "re-election" of the usurper in autumn 2012, granting her a peaceful death on June 9, 2012. God spared her from witnessing such a disgrace of this fat and brain dead nation, but I am still around, alas. I am witnessing it all and must testify about it. 1) It took a long way for the civilization that explicit circulation of forgeries became impossible. It's even more so for impossible forgeries like a 3 dollar bill. That is why the into-the-face unconstitutional campaign and election of the impostor Obama twice, and his uninterrupted full term presidency for 8 years undermine the foundation of civilization and throws it about 400 years back. Even such a crazy despot as Henry VIII the King of England first sought to change the law (via his legislator the Archbishop) and then to divorce. Even the tyrannical King didn't dare to break the law in full light of the day. 2) The grotesque consequences of such a constitutional violation in America (of all places) are particularly shameful and telling because this violation took place in an exemplary parliamentary republic, with all civil liberties in place; Where the Army swears to defend and uphold the Constitution, but upheld … the usurper; Where the freedom of expression and weapon ownership is legal, but remained unused! 3) Worse: the greatest majority of the nation, unrepentant and arrogant, has already decided to forget and bury this issue forever, so that at the end of 2016 America will enter into the record of history as a nation incapable to live up to its own law and Constitution without any coercion or dictatorship, but merely due to its own baseness; Due to its unwillingness to repent, to redeem its guilt, and to ask God about a forgiveness for betrayal of His mission and His blessing. However to whom am I appealing with these spiritual fantasies?! To folks wishing to have a life anyway, and dreaming to restore "American greatness" despite staying in soiled pants and spreading the stench for entire world?! 4) But what about the Constitution? The agitators and enthusiasts of parties and elections (with no selection) seriously contemplate who of the candidates is going to become the "savior of the nation" and will return back its former "greatness" (!) though all of the candidates (except possibly Trump) are "nomenclatura" of the NWO ). They do not care that two of the Republican contenders were constitutionally unfit no less than the usurper Obama; That the so called "Constitutional stalwart" Senator Cruz (which had once uttered the definition of US Natural Born as "born to citizen parents on the soil"), admitted the illegitimacy of Obama (though refused to expose him), now is running despite being illegitimate as well (and also a nomenclatura of the NWO/CFR ). To drain a few votes from the non-establishment violator Trump in favor of their conservative decoy Cruz (whom they would throw under the bus later anyway). 6) All those supporters dreaming about restoration of American greatness (!) totally forgot that America has already discredited herself by grotesque baseness and savagery! They do not even realize, that by 2017 America's baseness and savagery of the 8 years of unobstructed usurpation will be already on record in the past tense: it will be too late, sirs. You have already discredited civilization sirs, for it was said: "No law, no civilization" (V. Hanson). Even if America exposes the 2008-2016 illegitimacy of the presidency in 2017 or later: How will it be better than exposing some of Stalin's crime in the former USSR long after Stalin dropped dead?! At that Trump and his supporters keep regurgitating a fantasy about achieving again the past glory of America – despite that America has spat into a face of civilization. How can you survive this shame sirs if you have any?! America blessed by God and destined by Him to be a beacon of humanity, turned into a whore, into a den of liberasts and pederasts: literally! For that alone America has deserved to be erased from the surface of this planet no less than Sodom and Gomorra. America has betrayed the God's mission and will be judged. However America is not going to expose anything at all!.. 8) Trump then will represent only one of the three branches of government, while having the same criminal Congress and the same criminal Supreme Court. Yes, as a President, he will be able to get FBI to prosecute Obama's plainly criminal aspects, and to try him (if he does not escape), so that Obama will be convicted. It's good (if it happens) but it's not near enough! Which court will hear the case of the unconstitutionality of the entire 2008-2016 presidency in order to void all the laws and "executive orders" signed by the usurper: the same criminal "Court" which twice administered the oath to this very usurper and sabotaged all the cases questioning his legitimacy which had reached the "Court"? Will the Congress acknowledge the entire 2008-2016 presidency null and void? The very Congress which had twice approved this "presidency" and cooperated with near all the wishes of the usurper? After all, a few right conservative ideas which Trump suggests (to elating crowds of his supporters) could be effectuated by the Republican dominated Congress of yesterday and today – had the Congressmen wished to do it. How will Trump possibly get the Congress to change their mind (unless Trump replicates the favorite method of the usurper, because Trump, mind you, has a pen too)? And the most important question: Who will expose the real perpetrators and the main culprits of the entire coup (where Obama was merely a puppet, for whom they began to pave the way since 2002 )? 10) And then, Trump (in theory) can continue his campaign as a so called "spoiler" (in violation of his promise to not do it), though running as a spoiler is a nightmare for the sick American mentality – FAQ . However if he really follows this avenue, the only way to win in this unconventional situation is unconventional: It's a way of shock therapy, of the full exposure  of the entire mega-crisis, and of the criminal role of all other parties in it. Whether Trump keeps such an emergency plan is very questionable (judging by this photo). Since 2008 this nation (as a Federation) turned into a null and void entity in which all branches of the government top down are criminal and illegitimate (see the detailed list in the end of ). This government keeps destroying this nation approved by the loud or silent majority of the citizenry. Even if you don't buy the purely spiritual and constitutional aspects of the mega crisis outlined above, here still exist such physical (and very brutal) factors as the current 19 T debt, and the future near 100 T debt of government obligations. And if this were not enough, there are crazy forces inside and outside of this nation longing for escalation of all the smoldering wars, and which keep letting in islamic enemies into our home in hundred thousands. Does a reasonable solution of this crisis exist at least in theory (presuming the good will in all parties)? In theory – yes, it does. It is dissolution of the Federation (as an illegitimate and criminal conspiracy) into separate States, followed by the massive and voluntary migration of the reciprocally hostile or incompatible citizenry into the states by "interests", for it is impossible to further live together. This is how it is in theory (with a presumption of a good will and prudence). And without such a presumption?.. Well, when a pandemic evil lasts too long, and you have realized that you are caught in it too late, you have not so many choices (think Russia of 1917, though the analogy is not exact). It is still not too late to revolt at your local chapter of a criminal party, throwing through the window your chair and massively migrating into a new party catching with the ideas listed in the sections Platform, Strategy, and FAQ at the site http://JudeoChristianAmerica.org . Begin with the full exposure of the 2008-2016 usurpation and total treason. If enough of such local revolts take place, and enough of the people realize the essence and scope of the disaster, it may still be possible to repent, to alleviate the catastrophe, and to follow the way of righteousness. And … it is still not too late to acquire weapons (at least to not become an "easy prey" again). Happy New year dear (and not so dear) compatriots! 2 http://JudeoChristianAmerica.org/Quigley/WhoIsInControl.htm (NWO – The New World Order, CFR – Council of Foreign Relations, one of the NWO organization, where Cruz' wife is a member).